One of the greatest benefits of eating seasonally is that foods begin to speak of the seasons themselves. I only need to hear the words rhubarb crisp or see a photo and I’m instantly cast into mid-July. Peaches, berries, and sweet corn do something similar to me. But here in the desert where it’s so brutally hot, it’s hard to contemplate a dish that will require us firing up the oven. Conversely, there’s nothing so welcome as a cool refreshment. 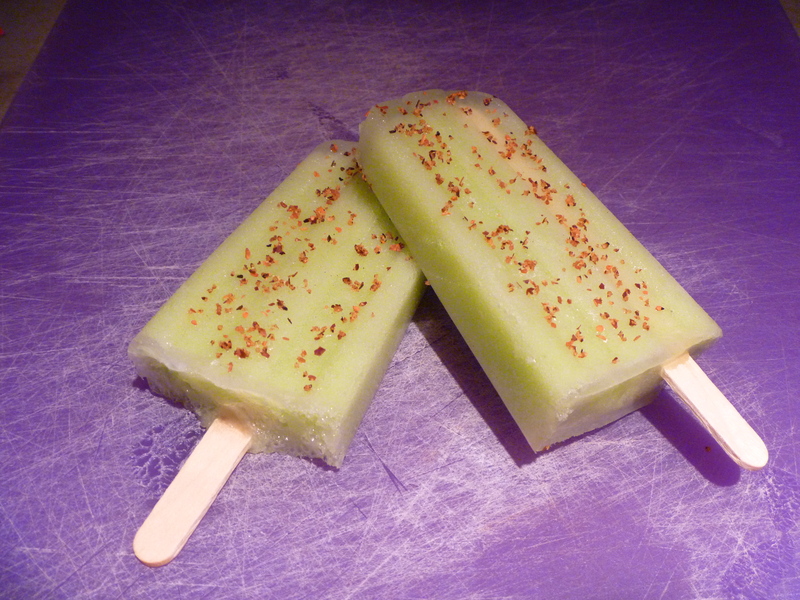 Paletas de Pepino - okay the sticks are a little off-center! While I’ve been known to make summer berry tarts, the fact is that I rarely make dessert. It’s too hot to turn on the oven and frankly, we don’t need the calories. Paletas are a different story however. When temperatures are blazing well above 100 degrees farenheit, paletas (also known as popsicles in many neighborhoods) have the ability to bring a smile and to cool us down. When I was younger, we had “popsicle man” who would steer his truck laden with frozen sweets through our neighborhood. Where we live today, I’ve seen only one and then it was a variety of heavily dyed expensive confections. Paletas are a Latino treat. In our home, we thrive on varieties such as Mango con Chile and Coconut. Today at our market, cucumbers were plentiful. 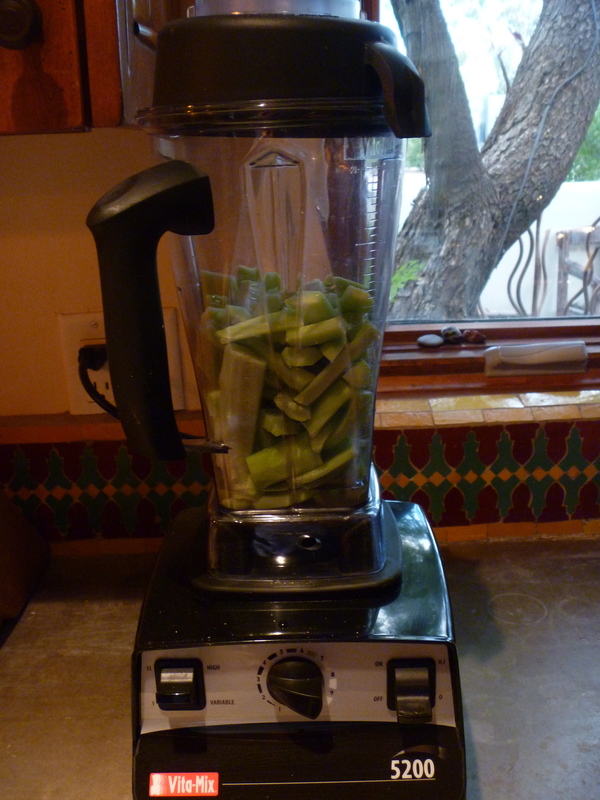 Place the first five ingredients in a blender or Vitamix and blend until smooth. Look for a medium consistency – not too thick and not too thin. 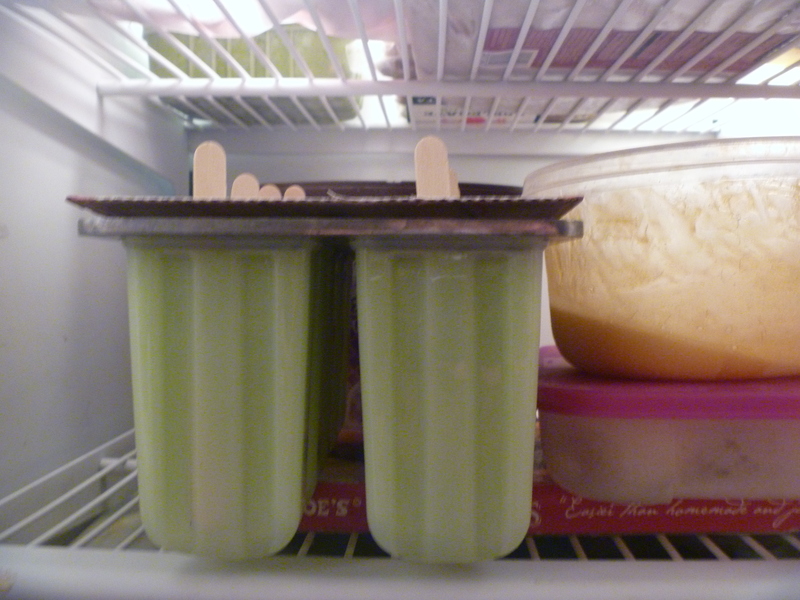 Pour into a popsicle mold, insert wooden sticks and freeze. When ready to eat, run the mold under warm water to loosen the paleta. After removing the paleta, you can sprinkle it lightly with chile powder or tajin (a chile lime salt). My 8 year old informed me that it would’ve worked better had I put the tajin right into the mixture. Either way, enjoy. PS. I purchased my popsicle molds at a local kitchen store. You can freeze this in anything that you already have on hand. I hope you can try them – although it might be winter there now? It is winter, but we have some beautiful winter fruits. Well, if you’re up for a cool treat, this might work for those also. A tequila pop might be just the think on a slow day! What a wonderful sounding flavor combination! And I love the idea of a bit of hotness in the cold popsicle. Thanks for sharing! We also eat tajin on fruit and really enjoy the flavor combination. Tammy! This is beautiful! I love the idea of a cool treat that’s not sweet. I’m with you: when you eat seasonally, you can really “hear” what foods need to be eaten when, and how to use them. Love this! Thanks…. You’re welcome. There’s a lot that you can do with these also – add mint and other fruit. Jeez. You are brilliant. I am totally sharing this on facebook. Well, thank you for the compliment and for sharing it. Cucumber popsicles, I would never have thought to make those! We’ll definitely give them a try. We’ve been making watermelon popsicles and then I make a margarita with the leftovers. It certainly is a refreshing treat after a hot day (and night…and morning…). It’s also a wonderful tradition to start with your boys. I’m sure they will look back, as you have, over the fond memory of homemade treats. Watermelon sounds perfect – especially the part about using them for margaritas. Try the cucumber and let me know what you think. but will try these pops tomorrow as our weather will be warmer. I also used to make Honey or Cinnamon ice-cream on Saturdays when the boys were growing up. You can use coconut milk instead of cream. I agree with Tandy and Lisa has inspired me tonight with company coming! Your little visitors will like Popsicles and you can make them from anything. Ok, we could do the zucchini pop challenge??? Amazing how all of our minds went that direction so quickly! Those sound terrific and may require a future post on adult Popsicles. Tammy . . .you are a genius! They look and sound wonderful . .. and it’s hot where I am at right now, so no problem with a cool treat! 🙂 Thank you! Let me know if youi try them Debbie. Looks really yummy and refreshing! When summer comes, I can’t wait for the first tomato to ripen to a vibrant red in my garden. A fresh picked tomato is aboslutely my favorite summer treat. Funny you should say that. I went out to eat tonight and had to order the heirloom tomato salad – yum!! AHH!!! Just perfect. I’m making coconut icecream this afternoon. I think I’m also going to juice today. I hope that it’s fun for you and your kids. I really need to get some of those moulds. I have a desire to make cucumber & mint mojito lollies now! Paleta, never heard them called that before, I like it! Yeah, cucumber and mint is another great combination. Sans the alcohol, it also works well for a morning smoothie. What a refreshing post! I can totally relate to this. We had our Popsicle man too; my fav flavors were cola and orange. I so miss those days. Im very tempted to share this funny story about popsicles. When we were really young, my sister used to freeze sugar syrup with rose petals. And that was THE treat back then. Lol, we were so innocent, we actually use to relish it and for that bit, we would do her bed, take her share of work..almost anything!! I wonder if my niece would even appreciate it now! sugar water with rose petals. Interesting idea and how great that it worked as a bribe for you to do her work. Having your own garden or shopping at local food stores tells you so much about the seasons. I love that. Tammy, what a great idea. Yummmmm! Oh my god! This is going to be fantastic. I have cucumbers in my fridge and coming out of my ears. But I do need to find one of those molds. dixie cups would work just fine. getting ready to embark on a month of raw food here and these fit in just fine! HI Tammy, When it’s hot outside, anything like your treat has to taste really delicious… We make frosties here and drink them for lunch (ice, yogurt, splenda, banana, other fruit such as pineapple).. Blend it all in your blender –and it’s yummy!!!!! I did yogurt with fresh and frozen fruit for my boys today! Oh, so jealous of the Vita-Mix. Cucumber popsicles sound like a perfect way to cool down on a hot day. Haven’t had too many of those around here to complain about, though! Well, I hope that means that it’s been nice but not too hot. Yes, I saw them. Lovely colors. Well, some might argue about whether or not it is a vegetable but there you go. Cucumber popsicles sound delicious! My wife and I will have to try that recipe. Lately we’ve been putting cucumber slices in our ice water. We even tried refrigerating the water we use to boil kale and drinking it as a refresher; it’s pretty good, actually. I love cucumber slices in water. Very British. 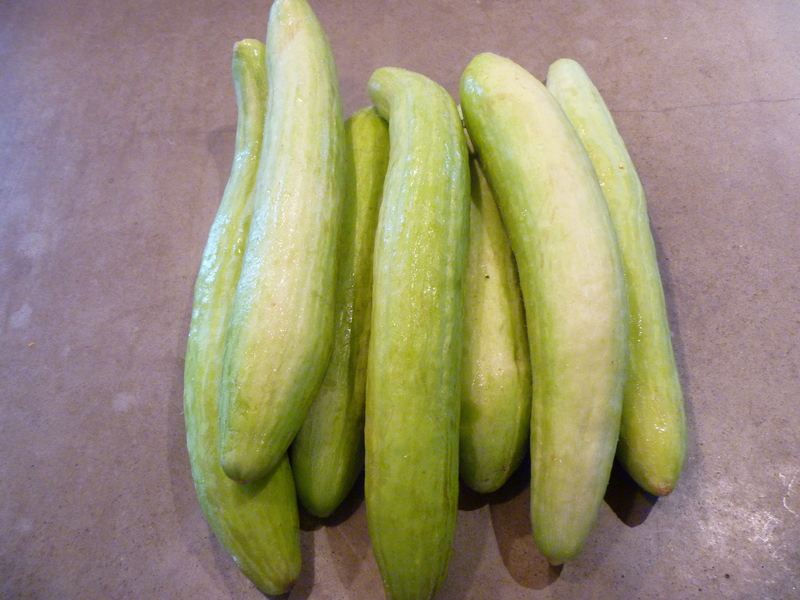 I’ve been trying to find some new ideas for all my csa cukes and. . . voila! Your recipe for paletas! Can’t wait to try them! Let me know how you like them! They’re also great with mint and agave – a sort of frozen mojito. I love your paletas!!! I have been living off cucumenr water, so refreshing ..but into a paleta!! brillant!! thanks for sharing, gonna share this on facebook!! That’s such a huge compliment coming from you! Thanks Bonnie. These Mexican ice pops — chock-full of chunks of fresh fruit and available in a hypnotizing array of colors and clear not-too-sweet flavors — conjure images of hot afternoons in the park time spent on a bench under a shady tree clear blue skies dotted with red white and green balloons..Thats not just some idyllic Latino-Rockwellian fantasy. Really youve never had Popsicles or ice cream bars like these — a treat so idolized that one city in Michoacn has even raised a statue of a paleta at the entrance to the town..Luckily the paletera business here is expanding reaching Latinos and non-Latinos alike. We have to explain that everythings made with fresh fruit and that theyre all made in the store every day — we do everything by hand. We have a local shop here called Paletas Betty and I adore it. 8 – 10 flavors everyday from creamy nueces to mango con chile. You’re welcome. Click Vianney’s link for some other great paleta recipes.